Consumers these days not only face the this-or-that dilemma; they also face the in-store-or-online dilemma before even setting out. Each option comes with its own perks. When you stop in the store, you can test out or try on the items. If you’re a toucher, the type of person who touches everything in the store, you can do that, too. Or you can sniff it, taste it — whatever you want. You also don’t have to worry about shipping fees or fussing with returns. On the other hand, when you shop online, you don’t have to put on clothes or leave the house. You don’t have to lug anything around; you don’t have to deal with crowds or traffic. You don’t have to make eye contact with anyone. You can often save more money, too. If anything, shopping for the best price and applying rebate offers is a lot easier. In the spirit of not making eye contact with anyone but your cat, here’s what to buy online instead of in the store. Admittedly, I’ve never approached a ticket counter at the airport to buy a flight. I guess that’s how they did it in the olden days — or if you’re way more impromptu than I am. The same goes for hotels, too. You can usually hop online to find the best deals. You can go the extra mile (get it?) by earning cash back on these expenses. I use Ibotta, a cash-back app popularly known for its grocery deals. However, it’s expanded to offer travel deals, too. For example, I recently booked a hotel through Hotels.com. I simply opened Ibotta, shopped Hotels.com through the platform and earned 4% cash back on my stay. That equated to about $14. It has additional cash-back deals for other travel sites including Booking, CheapOair, HotelStorm and HotelTonight. Bonus: If you haven’t signed up for Ibotta yet, you’ll get a $10 bonus when you score your first rebate. I had all kinds of metal contraptions in my mouth back in the day. The orthodontics bill racked up to thousands of dollars. Now, I’ve lost my retainers too many times, and my teeth are ehh again. But I’d rather not have metal in my mouth — or fork over that much money. The good news is more and more companies are coming out with affordable ways to straighten smiles. Take, for example, Candid Co., a company offering a more wallet-friendly alternative to invisible braces. You don’t have to fork over thousands of dollars, nor do you have to venture to an orthodontist for routine check-ups. You can opt in for a starter kit at $95. You’ll use it to take your own impressions and ship them back. Candid Co. then creates a personalized treatment plan. 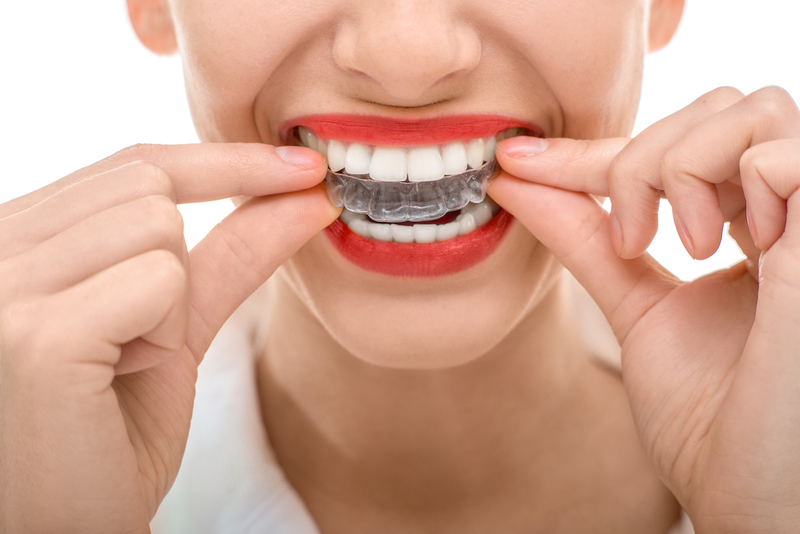 The treatment costs 65% less than other places, according to Candid Co., and you’ll get a free set of retainers to wear afterwards. Books are cheaper to buy used, and used books are typically easier to find online. I usually check Amazon. I can see all my new options, which are sometimes cheaper than in store (even used bookstores). You can find textbooks online, too, which always proved to be cheaper when I purchased them online versus at the campus bookstore. For example, the book currently required for the finance course I took in college runs $180 from the campus bookstore. (That’s the e-version, too.) You can rent the same thing in hardcover from Amazon for as little as $18.98. A $50 gift card is a $50 gift card, right? You can buy discounted gift cards online through platforms like Raise, Cardpool and RetailMeNot. It also offers free shipping. The savings isn’t necessarily a crazy amount, but it’s a good idea to check these sites before buying a gift card — or even purchasing something online yourself. I’ve contemplated laser hair removal. It’d keep me from having to spend extra time in the shower and from spending SO MUCH money on razors. Admittedly, I buy the more expensive ones. But these help prevent blood-gushing cuts and razor burn on my sensitive skin. The box of six razor cartridges I buy from Target costs more than $20. From Amazon, it’s a wee bit cheaper at $19.45. Those six razors last me about two to three months. Compare that to a subscription club like Dollar Shave Club. It allows you to score one razor for $1. Shipping’s free, too. After that, it’s $3 per month, and you can cancel at any time. When you do the math… *counts on fingers*… the subscription box proves to be cheaper — and of a higher quality, too — than those store-bought razors. Also, I don’t mind $3 a month funneling from my account versus a hefty $20 added to my grocery bill. Not good for budgeting purposes. Perks of shopping online include ease of shopping, direct access to the car’s history and no negotiating. You also don’t get stuck paying any extra fees from overhead expenses to the dealer’s commission. And the vehicle gets delivered to your driveway. Although you don’t get to test drive the car before purchasing it, many sites allow for free, money-back-guarantee returns. We’ve already written about three popular car-buying sites. Let’s compare prices from one of those: Vroom. Vroom claims to save drivers an average of 8% — or $2,545. That’s because it eliminates the middleman; the cars are sold directly to you. You can also pull the vehicle’s history right online as well as set up your monthly payment plan. Even if the savings seem minimal in the long run, it seems a heck of a lot easier than driving from dealership to dealership. Another perk of knowing what to buy online is you can sign up for price protection services — like Paribus, which acts as a virtual personal assistant who keeps tabs on the receipts that hit your inbox after purchases. When an item’s price drops, Paribus will grant you the difference back. The idea is you’ll never overpay for an item. It tracks receipts from a number of online retailers including Costco, Jet, Nordstrom, Overstock, Walmart and Zappos. You’ll just need to connect your email, and you’re done. If you want to learn about more ways to earn money back each time you shop online, here are eight others tools. Carson Kohler (@CarsonKohler) is a junior writer at The Penny Hoarder. She wants to know: What products do you always buy online to save the most money?